Who says a bottle of wine or six pack of beer needs to be boring!? We all have those friends or family members for whom picking out a "personal" gift is a bit of a challenge. Worry no more! 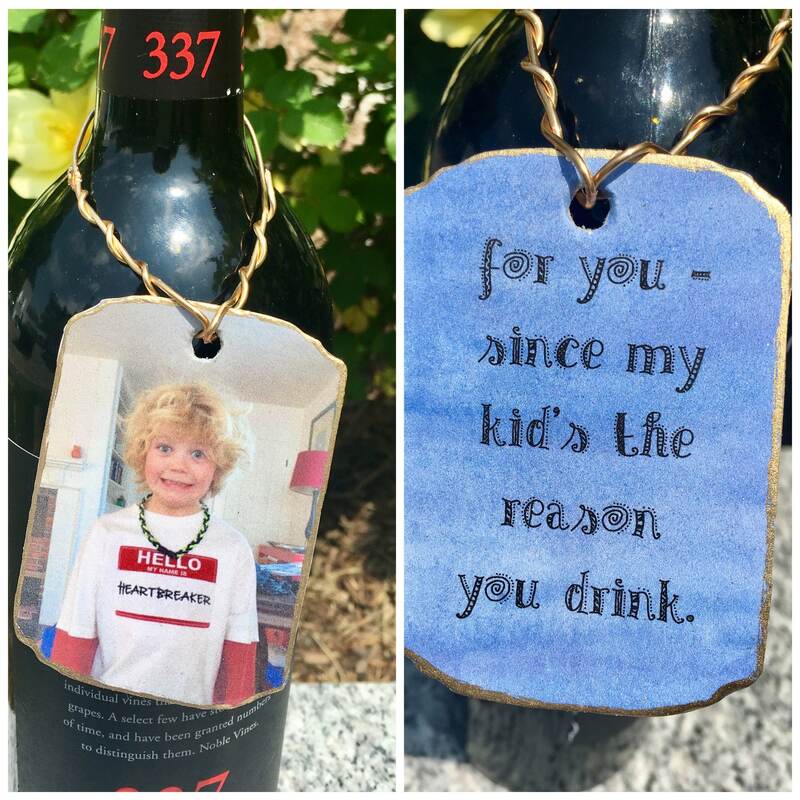 Have a Custom Wine Tag designed by Keyhole Studio to turn that boring bottle into a thoughtful, personal way to say anything from Thanks for Hosting to Your'e a Great Teacher to Sorry I was Thoughtless! Send me a photo of that new baby and suddenly that bottle of wine becomes the cutest (and most useful) new baby gift of all. How about a Bachelorette Party - surely you have an embarrassing photo that would could make the blushing bride blush a wee bit more. And your dog would surely love to star in a custom tag photo shoot! And they're not just for wine or beer bottles! 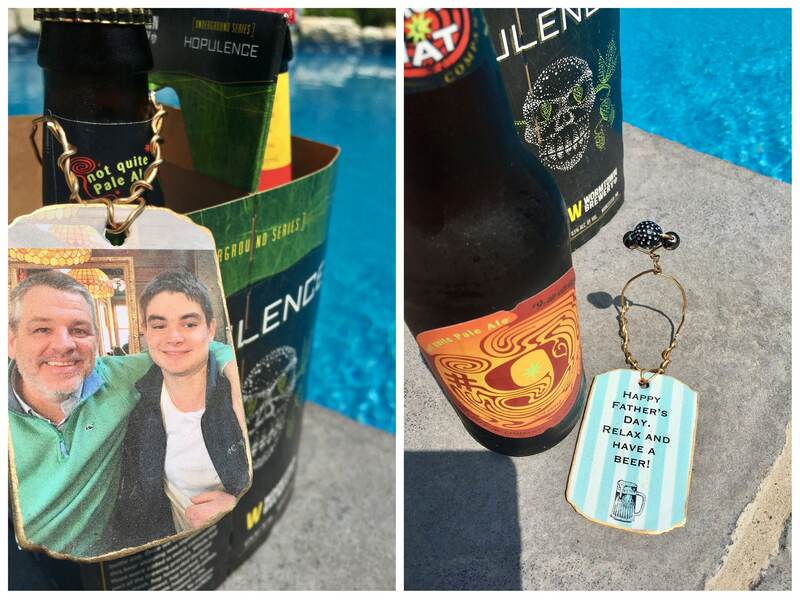 Attach a photo tag to gifts this holiday season for a fun and lasting touch. You can even give them as Christmas Ornaments! The possibilities are fun and endless! 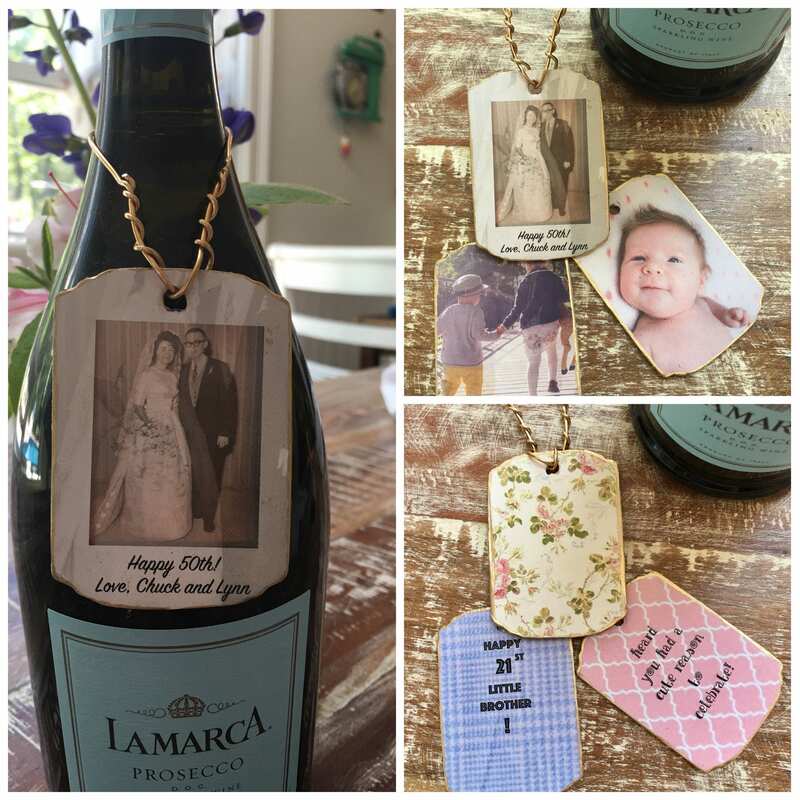 Here's how it works: Send me a pdf or jpg of your photo (personal photos only please, no copyrighted photos) and I will turn that picture into a wine or gift tag - your photo on one side, your custom message on the other. 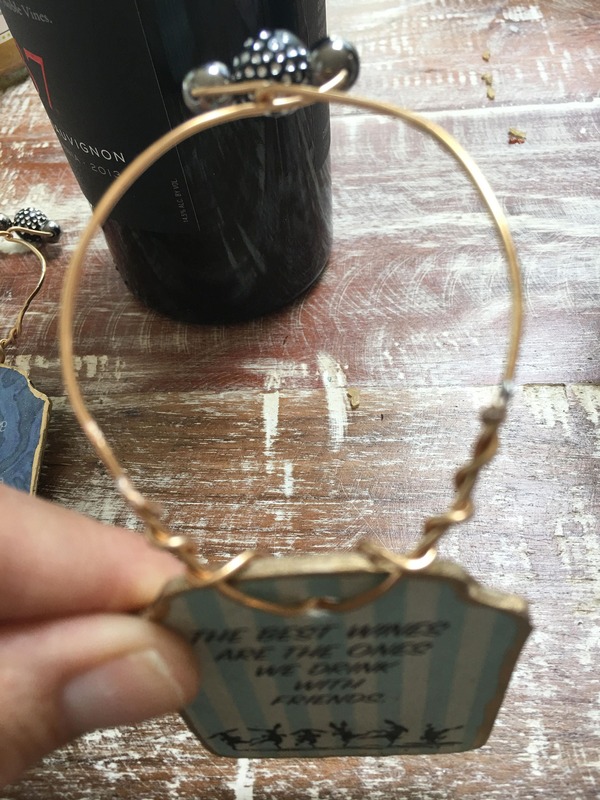 The wine tags hang from a heavy gauge, flexible gold wire and are embellished with beads, the gift tags hang from a festive ribbon. The tags all have a light sparkle added to the front and back. 1. Place your order in your cart. Choose wire or ribbon hanger. 2. Send me a note with your order including your own message. Space is limited so short and sweet please! PLEASE DO NOT FORGET TO DO THIS! FORGETTING TO TELL ME YOUR MESSAGE WILL DELAY THE ORDER! No Picture? No Problem! I will design a tag just for you with your own custom message...check out the Hand-made Custom tag listing in my shop. Single or small orders should ship within 1-2 days so this a a great last minute gift idea! Bulk discounts apply for large orders. Inquiries welcome. Great for weddings, anniversaries and baby showers! Additional time will be needed for large orders. Love the size of this tag, and the option to personalize it is a wonderful service offered. Thank you! Look forward to purchasing soon!